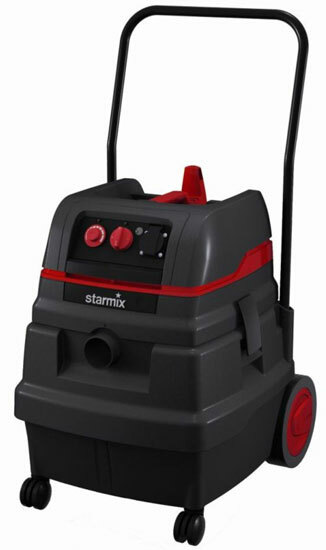 The NEW Starmix ISP-Series Dust Extractor has been specially developed for vacuuming dust away directly from the power tool, eg: sanding, cutting, grinding and drilling machines. Newly developed and designed for really demanding continuous use. Thanks to Permanent Clean, the permanent electromagnetic pulse filter cleaning system, the ISP is the only cleaner to provide genuinely continuous vacuum operations without interrupting the suction power during filter cleaning. These machines are perfectly suited for continual, daily use in the tough, professional conditions on the building site by the trade or in industrial applications. 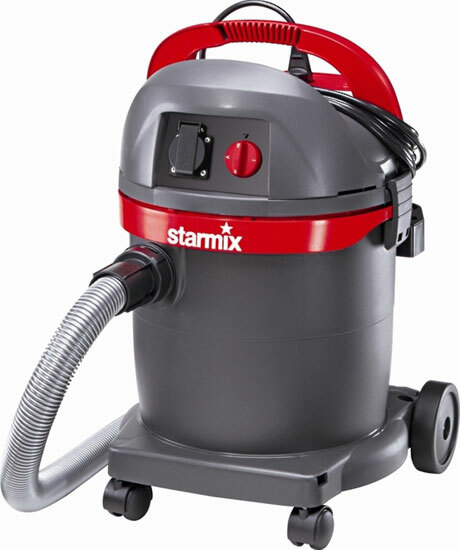 The accessories included allow the machine to be used for normal vacuuming applications, including wet use. HEPA filters are available for use in hazardous dust applications, eg: asbestos and lead based paint removal. Click here to download brochure (PDF file). 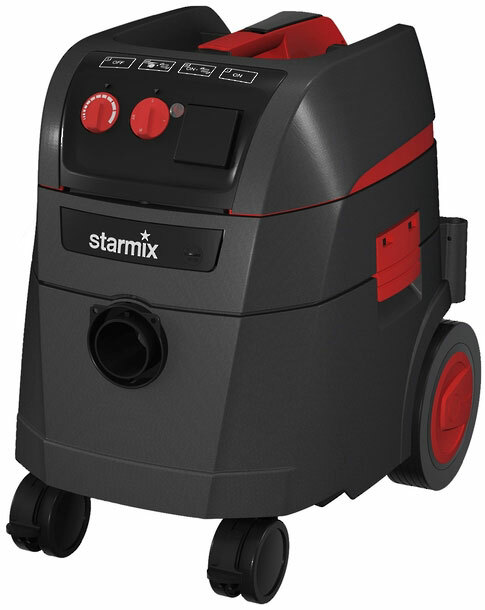 The NEW Starmix ISC-Series Dust Extractor has been specially developed for vacuuming dust away directly from the power tool, eg: sanding, cutting, grinding and drilling machines. 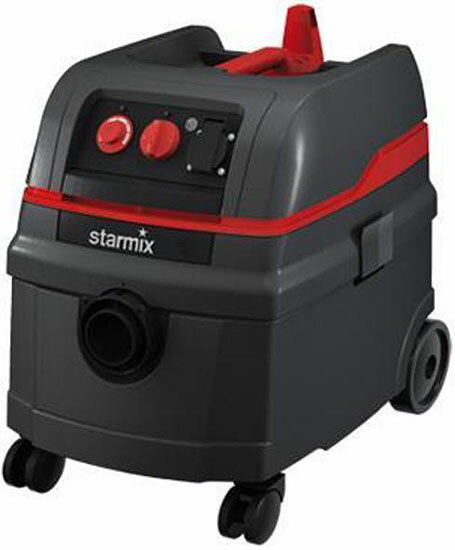 These machines are perfectly suited for continual, daily use in the tough, professional conditions on the building site by the trade or in industrial applications.The accessories included allow the machine to be used for normal vacuuming applications, including wet use. 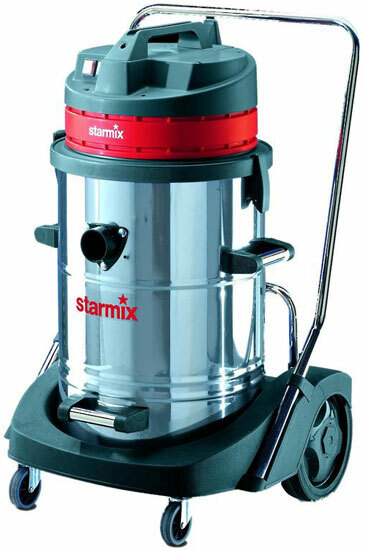 The Starmix GS-Series Dust Extractor has been specially developed for vacuuming dust away directly from the power tool, eg: sanding, cutting, grinding and drilling machines. The ergonomic tilting running gear makes maneuvering and emptying this machine very simple and clean. 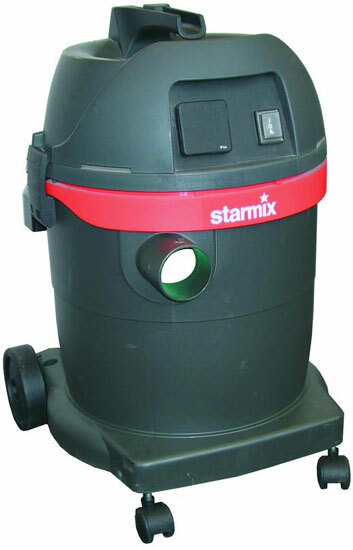 The HS-Series Starmix “4-all” Pump vacuum cleaner has been developed especially for the suction of larger quantities of water and non-flammable liquids with a high level of contamination. Because of the appliance’s high suction power, the liquid can be rapidly extracted until completely drained. 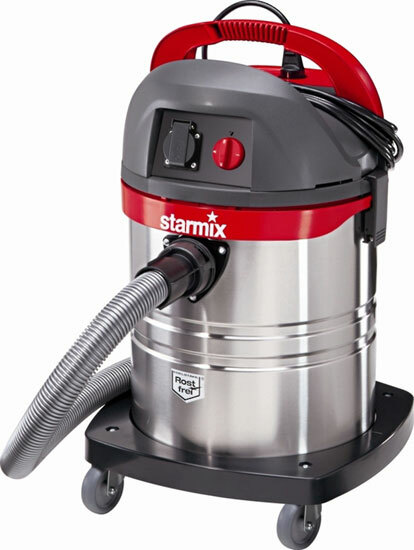 The robust and powerful pump built into the vacuum cleaner ensures that the container is permanently emptied during suction. Permanent pumping = permanent working. A wet filter sack, which is included with the product, collects coarse dirt, protects the pump, and filters water which is only slightly dirty, if required. 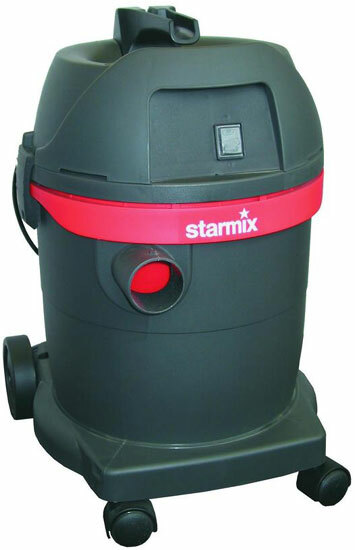 The Starmix Pump vacuum cleaner is also ideally suitable for the suction of residual water from heating systems and flooded buildings, and for cleaning swimming pools, tanks, etc. These machines are perfectly suited for continual, daily use in the tough, professional conditions on the building site by the trade or in industrial applications. At the same time, the appliance is also a universally applicable wet and dry vacuum cleaner for the most varied areas of application. The ergonomic tilting running gear makes manoeuvring and emptying this machine very simple and clean. 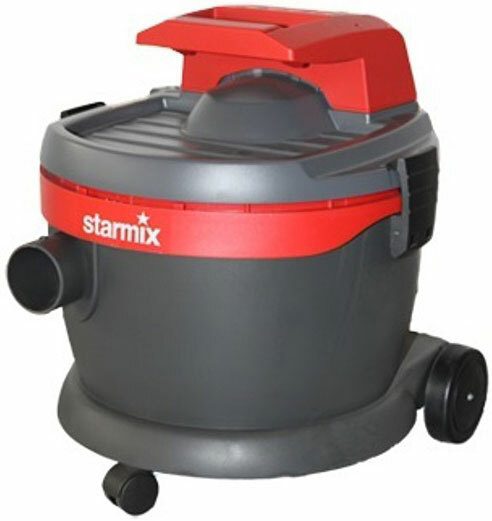 The Starmix HS-Series Dust Extractor has been specially developed for vacuuming dust away directly from the power tool, eg: sanding, cutting, grinding and drilling machines. 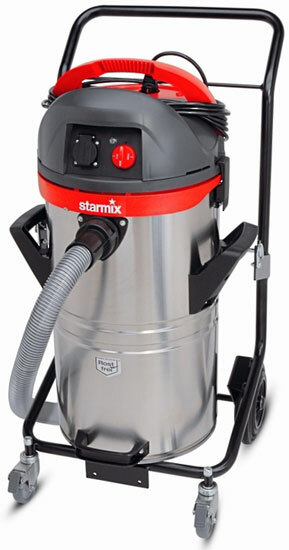 The Starmix HS-Series Dust Extractor has been specially developed for vacuuming paint and plaster dust away directly from the FLEX Long Reach Giraffe Sander and other paint and plaster sanding machines. 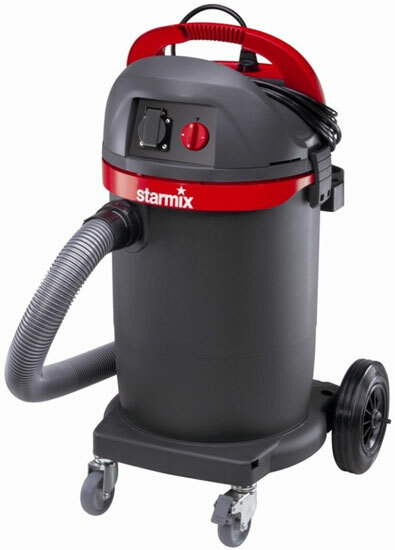 The Starmix GS-Series Dust Extractor has been specially developed for vacuuming paint and timber dust away directly from the power tool.